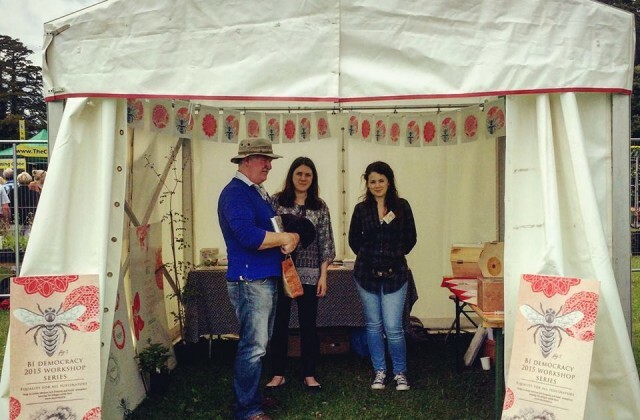 These were some of the questions we happily answered at our stand at the Rose Festival in St Anne’s Park, Clontarf, this weekend. 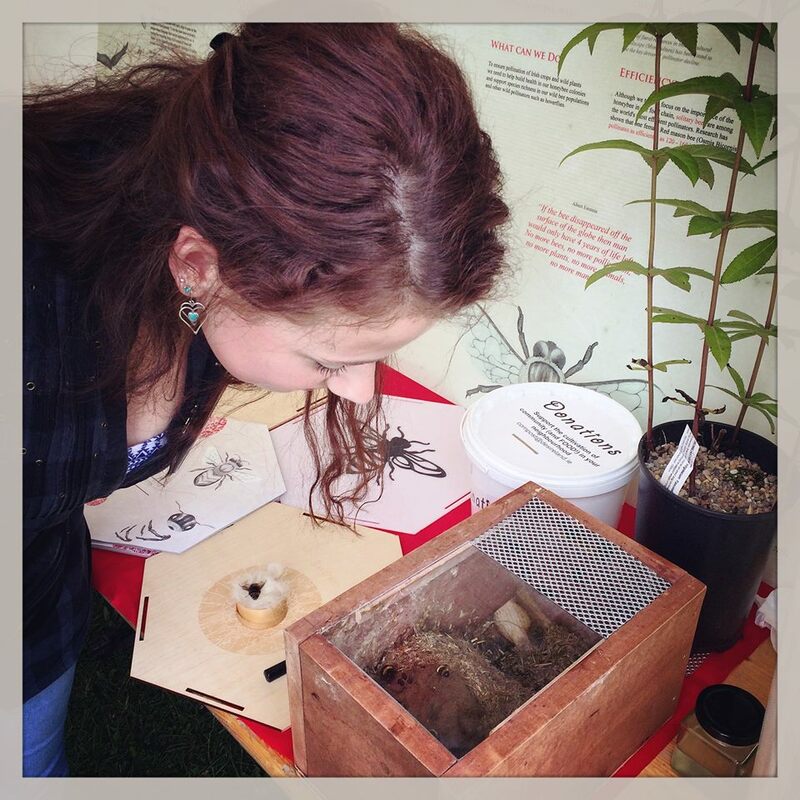 Many visitors showed an engaging curiosity in the life, work and fate of our pollinators. 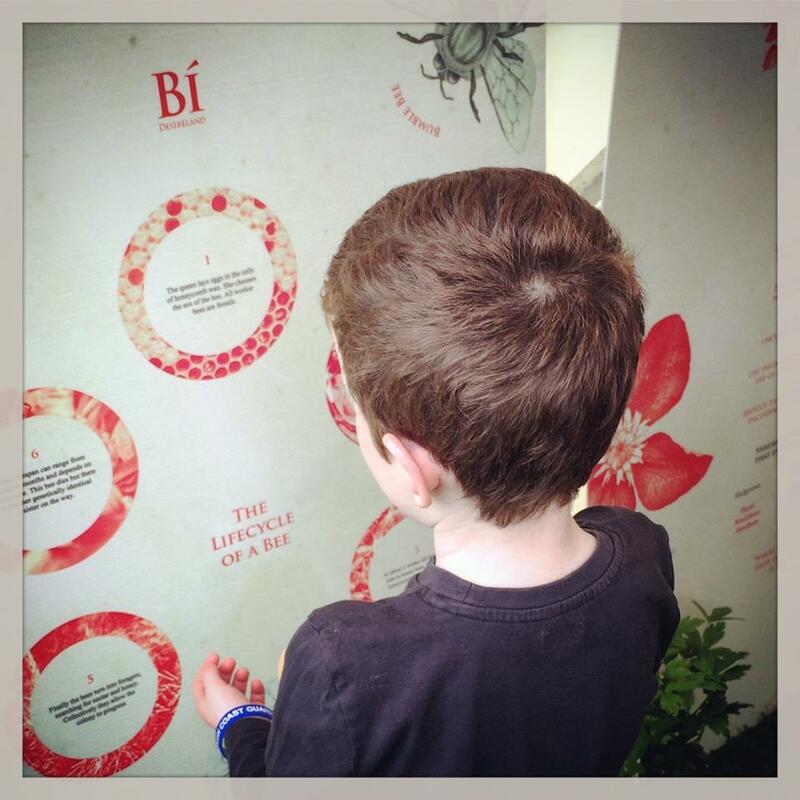 Young and old, families and individuals, all perused our display which included a rescued nest of bumble bees, a dead queen bee viewed under a magnifying glass, our exhibition of prototype bait hives, and bowls of bee pollen, propolis and fragrant dried roses, lavender and calendula, the ingredients used in our very popular (and best selling) Bí Foot Soak. 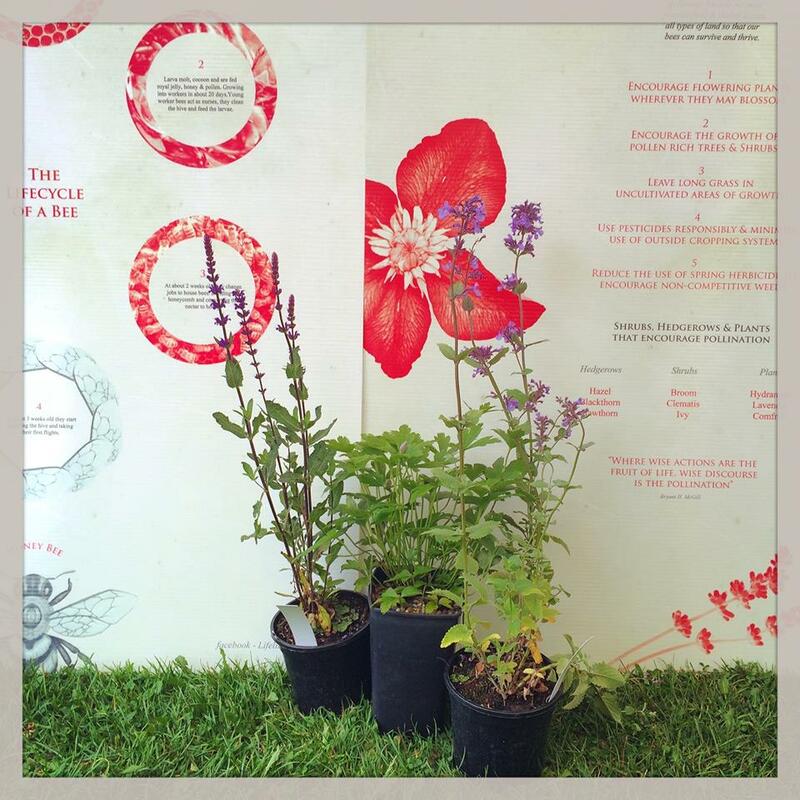 We are extremely grateful to Dublin City Council for their generous invitation to participate in their festival of Biodiversity at the Rose Festival this year and for sponsoring the printing of our new Bí information panels which will soon be hung on the railings of our pulic apiary in Broadstone Park, another collaborative venture with DCC, educating all passers-by on the wonders of our native bees species, their differing lifecycles and what we can all do to help them. Our younger visitors especially enjoyed feeding the bumble bees with sugar syrup from a dropper and watching the their tiny tongues lick up the sweet nectar. There is so much these creatures can teach us about the critical relationships which govern the natural environment, AND there seems to be a great appetite among all of us to learn. 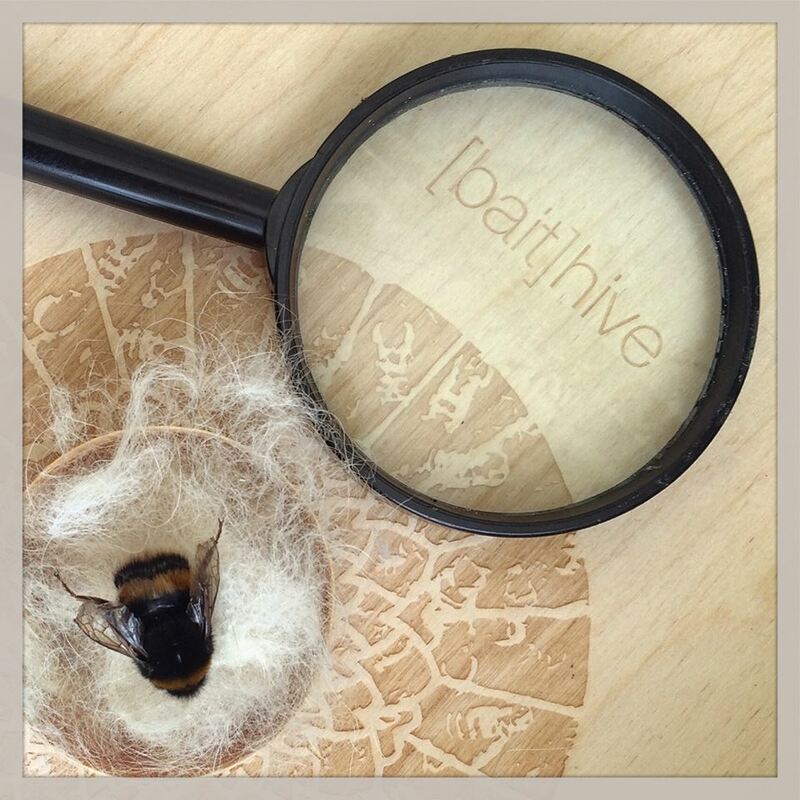 We are delighted to have put a contemporary spin on the tradition set by one of the greatest Irish bee activists Turlough Butler O’Bryen (1853-1928) who lectured in the congested districts on the merits of beekeeping as form of profitable employment from his ‘bee tent!’ It’s fascinating to note that the bee tent is probably more appropriate in the urban environment today. 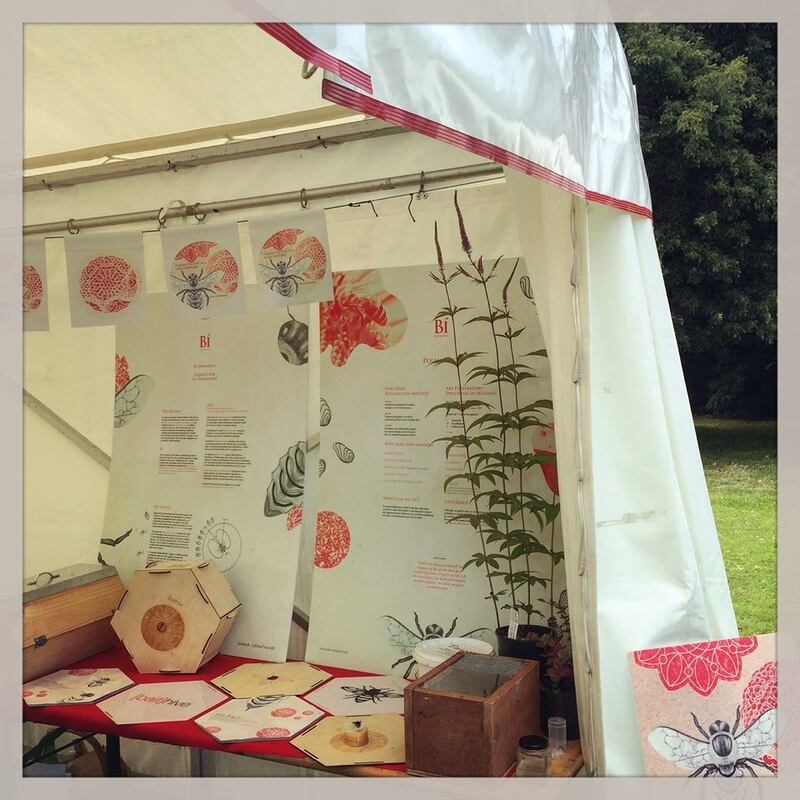 Watch out for our next outdoor classroom event!